Guest blogging is a great way to bring your products and services to the attention of a targeted audience and to quickly sell more and generate brand awareness. We are specializing in guest posting on our own network which is managed through Rankwyz, and on the websites of our media partners. We have contacts with lots of American, English, German and Dutch blogging professionals with whom we have made great arrangements so we can guest blogging on their sites at attractive rates. We know exactly how we can effectively get a shareable article published on a relevant blog in your niche. We also ensure that you get a valuable “in content dofollow backlink” from the article to your site. We also keep a close eye on the important anchor text distribution that has become important after the Google Penguin update by watching how the anchor link text ratio looks like for the top 3 in Google. 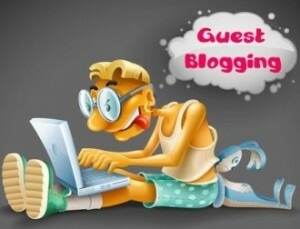 By dealing with guest blogging in a professional way, and by providing relevant content that will be shared many times, you will be seen as an authority on the internet, which is not only highly valued by Google but particularly by the readers from your target audience, that are also you potential customers. 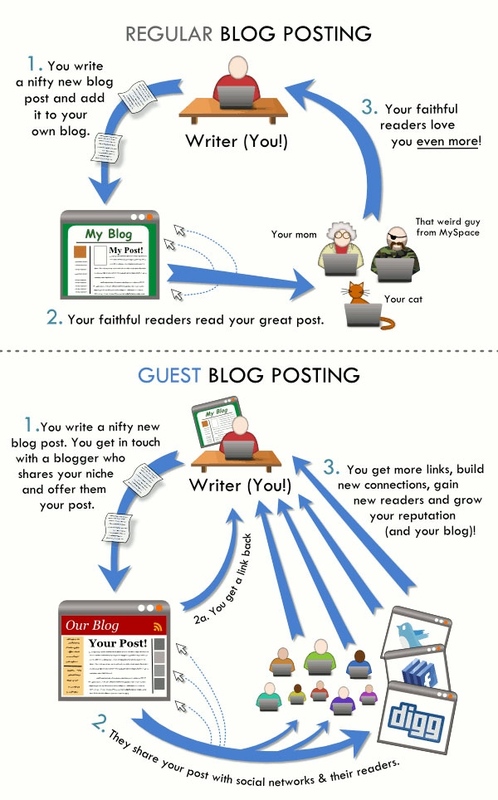 Why are Guest Blog Posts more effective than just publishing on your own blog? Before we are going to write articles for you or before you are going to write your own articles, we are first going to look for keywords we can write articles for that are in line with the products and/or services you are offering on your website. On this basis and taking into account the developments and trends on the market, we will formulate appealing titles for the articles we are going to write for you or that you will write yourself. For the research on trending topics, we will also refer to the major social media channels to find out which content of your niche is shared frequently, which is an indication for its popularity. In this way we have the biggest chance that the articles are attractive to get published by the guest blog owners and that the readers are going to share it through their social media channels, enhancing their reach and effectiveness. By publishing articles of interest on a blog that is visited by your target audience, you are going to position yourself as an authority, giving you a larger name recognition, increasing your chance to be contacted for interesting jobs and enabling you to ask premium prices for your services. How do we report the results from our Guest Blogging Services? Prior to the guest post campaign and 1 week after the placement of the articles, you will receive a keyword ranking report so you can see what the effect of the guest blogging campaign has been. By watching the web statistics, we can also see how much traffic resulted from the guest blogging articles. Because the article is placed on a related blog is the resulting referring traffic very valuable and this promotion technique can help you to easily expand your customer base. In addition to the keyword ranking report, you will receive a list of the websites where the articles are published together with qualitative factors such as the PageRank, Domain Authority and the number of referring domains of the site, the URL’s they are linking to and with which anchor texts, the date and any other factors determining the quality of the backlinks and of the guest post. 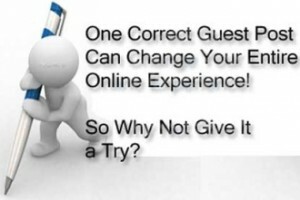 Would you like to outsource an effective guest posting strategy to a specialist in guest blogging? Please contact us today so we can discuss the options.